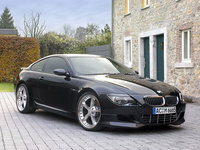 Start a new BMW M6 question. 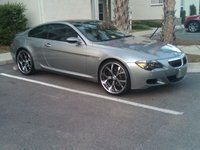 2008m6 with manual transmission do they have similar issues as the automatic. please respond to my email as to why you put that car has been in 1 reported accident? Why does advertisement now say my car was in a "reported accident"? Please advise! 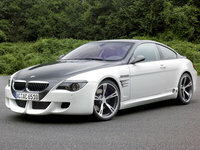 Unveiled at the 2005 Geneva Auto Show, the BMW M6 is a new take on a classic sports model. 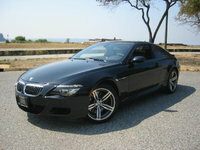 The new M6 hit the market for the first time in the 2007 model year, and response to the high-end performance car was ecstatic. 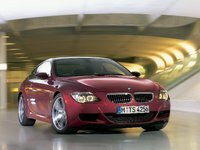 The BMW M6 is based on the E63/E64 platform (also known as the "6-Series platform"), which was designed with an eye to roadworthiness and agility. BMW's most powerful engine, a 5.0-liter, 40-valve V10 with an impressive 500-horsepower output, takes the M6 from 0 to 60 in 4.5 seconds. The effect of all this power is heightened by the M6's lightweight design, which relies on a carbon-fiber roof to keep curb weight low. 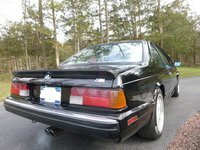 Drivers and reviewers praise the M6's speed and handling; it looks like this addition to the Beemer universe will have a long and popular life.